Gorgeous watercolour paintings of a Black Labrador and Springer Spaniel by a top British Ceramics artist and designer. A beautiful twin pack on top-of-the-range Premium Quality 330gsm card – the best quality decorative twin pack available from us. Limited edition run of 500. Our Premium Quality playing cards have the most fantastic slip, snap and elasticity. Would you like the cards in a standard box or a gold personalised box? What lettering would you like personalised on the lid of the box? 12 characters maximum. First 5 characters are included in the price. 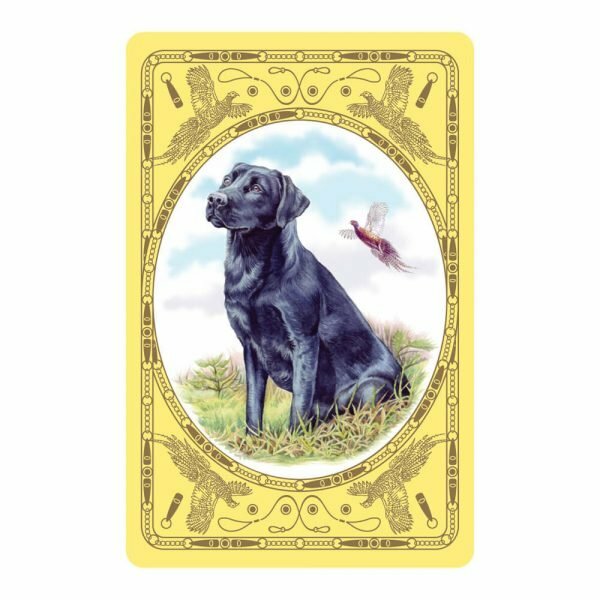 These Black Labrador & Spaniel playing cards continue our countryside themed series of playing cards and matching score pads. Featuring gorgeous watercolour paintings of the nation’s favourite gun dogs. They have been exclusively designed for us by a top British ceramics designer. 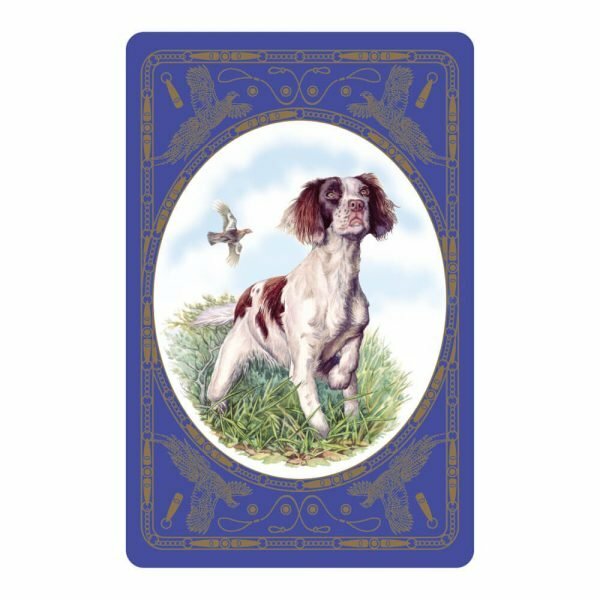 This is one design in a range of Premium Quality decorative playing cards made from the best quality board. If you choose the option of a personalised presentation box, please note that personalised products are not returnable or refundable. Please check your spelling carefully before you add this product to your shopping basket!